Ainola was designed by Lars Sonck (1870–1956), one of the foremost young Finnish architects of his era. Ainola is one of a series of several dozen wooden buildings that he designed – a series that started with a residential building while he was still a student in Mariehamn (Åland Islands) in 1893 and ended in 1945 with a modest log-built house for the composer Uuno Klami in Virolahti. 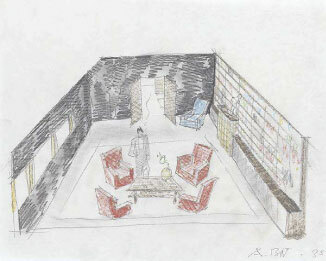 From an architectural perspective Ainola’s external appearance contains thematic tensions, even contradictory messages. 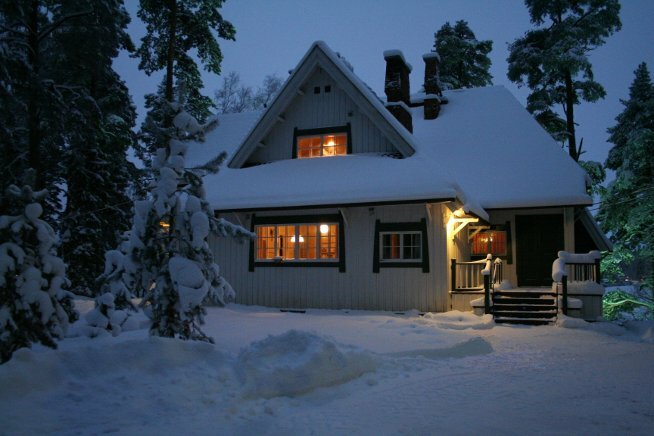 The cross-gabled design, protruding timber balconies and the floor plan are related to those found at many Finnish artists’ homes from this period. The timber corner balcony on the north-west corner is a clear reference to the vernacular building tradition, on account of its access door that imitates the balcony walkway. The same applies to the cross gables’ supporting roof joists that were left visible against the soffits. But that is where these archaic features and ‘folk’ allusions end: the originally planned pale-coloured cladding, the windows’ and doors’ Jugend-style wooden frames, and the complex roof outline do not follow the same style. 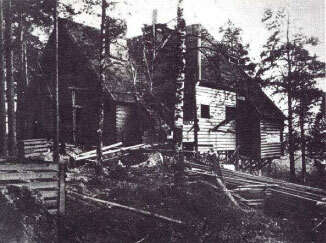 In this respect Ainola differs from Sonck’s other villas, where his characteristic log-built style is to the fore. 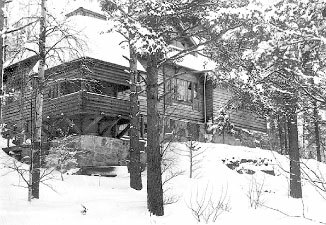 On the other hand it anticipates the villas that he would design from 1907 onwards for the ‘villa district’ on the island of Kulosaari near Helsinki. 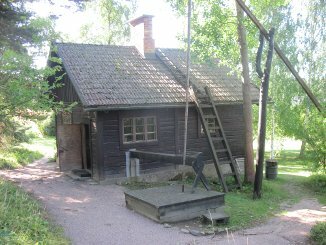 By comparison with other villas in the community by Lake Tuusula, Ainola’s external appearance is similar to that of Eero Järnefelt’s home, Suviranta, whilst at the same time it is enriched by features similar to those at Pekka Halonen’s home, Halosenniemi, and by the characteristic allusions to the vernacular tradition found in Sonck’s other villas from the same era. In 1911, when the upper floor was turned into living accommodation, access was created between the dining room and the former study, which significantly opened up the interior. At the same time the building’s external appearance changed too, the façades receiving their white cladding. In 1935, when Sibelius reached the age of 70, the former children’s room on the ground floor was converted into a library, according to plans by the architect Aulis Blomstedt, Sibelius’s son-in-law. 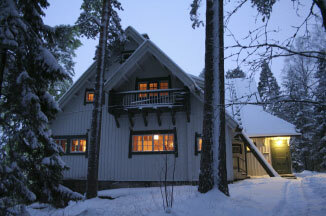 Ainola was the Sibelius family’s home for more than 60 years. 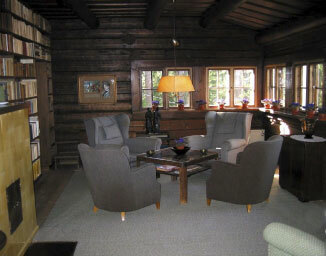 The decor and furniture thus date from different decades; the oldest items were inherited from Jean’s or Aino’s families, and the newest come from the 1930s and 1950s.